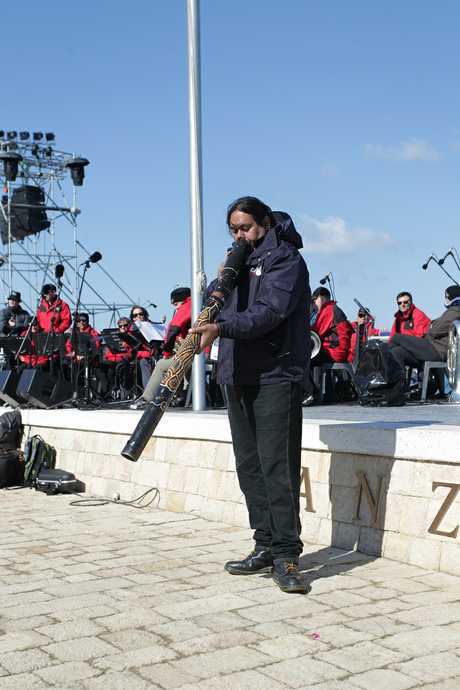 DIDGERIDOO player William Barton's native Australian sounds will captivate dawn service crowds at Anzac Cove. The Mt Isa man's rehearsal yesterday drew the full attention of people who were otherwise busy setting up for their own roles. He walked down the main aisle of the commemorative site. 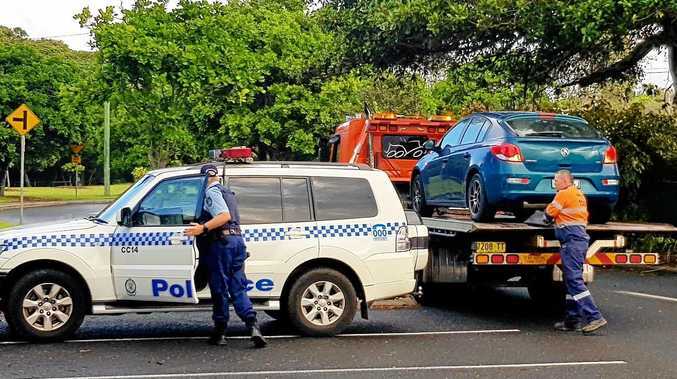 "You've got the weight on your shoulders of the nation as you walk down there," Mr Barton said. Mt Isa didgeridoo player William Barton rehearses for his dawn service performance at Anzac Cove. He said it was a big honour to be a part of the service. "You try to be reflective- not play too much but just give it enough to speak the language through the instrument and I guess absorb the emotions of the crowd." Mr Barton said his friends and family would be watching from afar. He has previously performed at the 2005 and 2014 Anzac Cove services. "This of course the big one, the 100th anniversary. "To come back here again and really appreciate the place you are at is important."